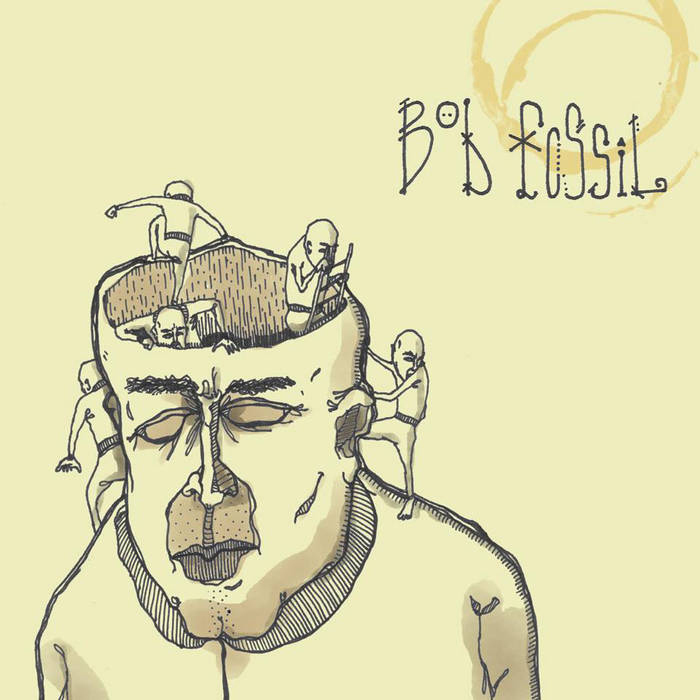 Funk, grunge, swing, booty shakin’ rock ‘n’ roll – the Bob Fossil debut self-titled album has it all. Bob Fossil’s music is a party. It’s awesome because they rock, and this self-titled 11-track album deals out a tremendous amount of excellence. It’s high energy, with killer jams and good vibes, plus the sound is sweet and the songs are polished. There’s some excellent production bringing together all the parts captured from the seven-piece Bellingham band. The first track off the album, “Carlos Danger,” starts slow with the harmonica then dips into a nitty gritty groove, like one of those old funky Pink Floyd songs. Lead vocalist Kelly Clarkson shows us what he’s got, and he has definitely got the goods. He is singing all over the place, from the gut, hittin’ the high notes, bringing it down and letting out the roar. Sounds great, and he has got some serious ‘tude, an ability which lets Bob Fossil traverse many different styles. That, and the fact that Corey Teply is a righteous keys player and his skills take jams to a higher level. On the second track, “Going Going Gone,” the guitars and keys start playing together and that groove is so good it could last forever. “Confusement” is breaking genre boundaries and shows off the original sound that Bob Fossil has now honed; it’s funky, slap bass, sliding guitars, ambient keys, solid beat, and then BOOM – the dude starts rappin’. It sounds pretty legit, he has got some rhymes and the lyrics get at some realness. The next track, “Breathe,” has a ska-grunge sound to and rocks pretty hard. “Reincarnation” is a trip – a more laid back and psychedelic bluesy tune with great piano and some nice vocal harmonies. The final track of the album, “Bradbury’s Bad Dream,” is like an epic rock ballad and just sounds like a great time. It picks up quick and charges on punk-ska style and then there is just total shreddery at the end of it as it fades out. Bob Fossil has banjos, kazoos, trumpets, meaty guitars, funky bass, and loud drums. The cuts they released on this self-titled debut album are ripe for rockin’ so if you’re down with some local musical goodness I’d say check out Bob Fossil.